After I’ve run 5 miles or finished the most grueling yoga class, and I’m hot, tired, and on empty, smoothies go down so easily. Especially the kind that taste like a tropical vacation. I’m blessed to live in San Diego, and it’s been in the mid-70s the past few days during the middle of the day. It still gets cold enough at night that we have to turn the heat on, but for a few glorious hours in the middle of the day, it’s picture-perfect. That’s when I run or do yoga and after a hard workout, I don’t like heavy things but need something to recharge. 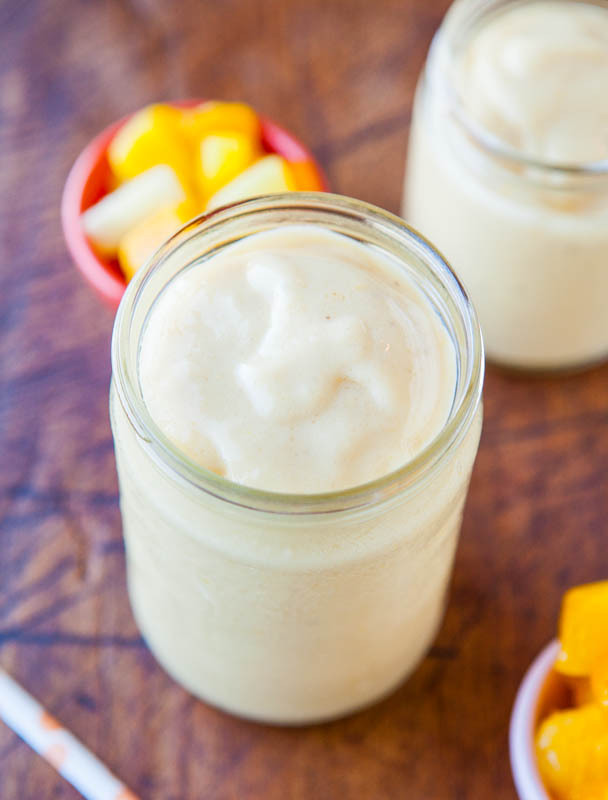 This sweet, creamy, citrusy, vegan, Vitamin C-packed smoothie is so refreshing and hits the spot. 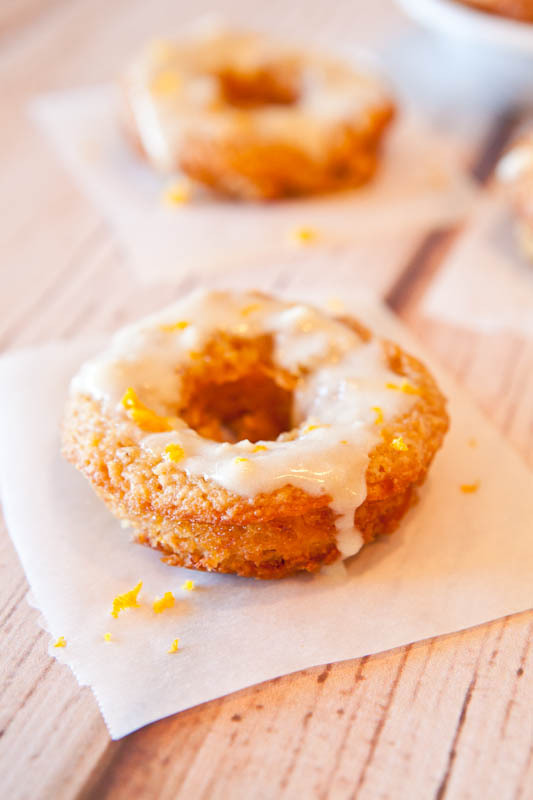 I try to incorporate as much Vitamin C into my diet as possible. It’s an easy thing to do and something that helps prevent sickness, and I’ll take all the prevention I can get. With a 6 year old who’s constantly bringing home every other kid’s cooties, germs, sniffles and sneezes, any little bit of immune-boosting powers is welcome. 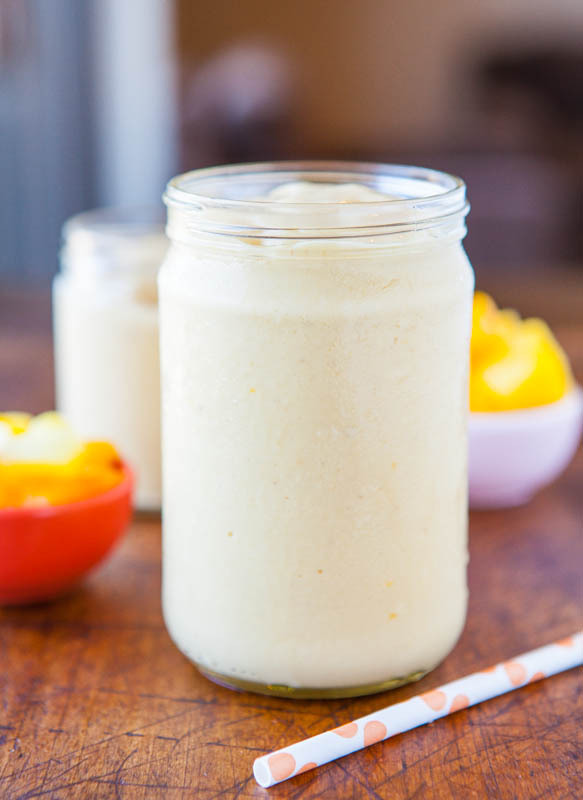 Citrus fruits like pineapple or orange-colored fruit in general, such as mango, are high in Vitamin C.
I love both pineapple and mango and have a dozen other smoothie recipes that use one or the other, but it’s a favorite combination I never tire of. 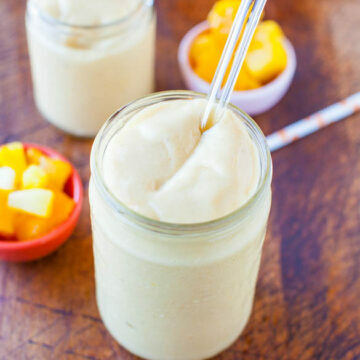 I always keep frozen pineapple and frozen mango chunks on hand, perfect for blending into smoothies. You don’t need to add ice if you use frozen fruit, preventing a watered-down drink. 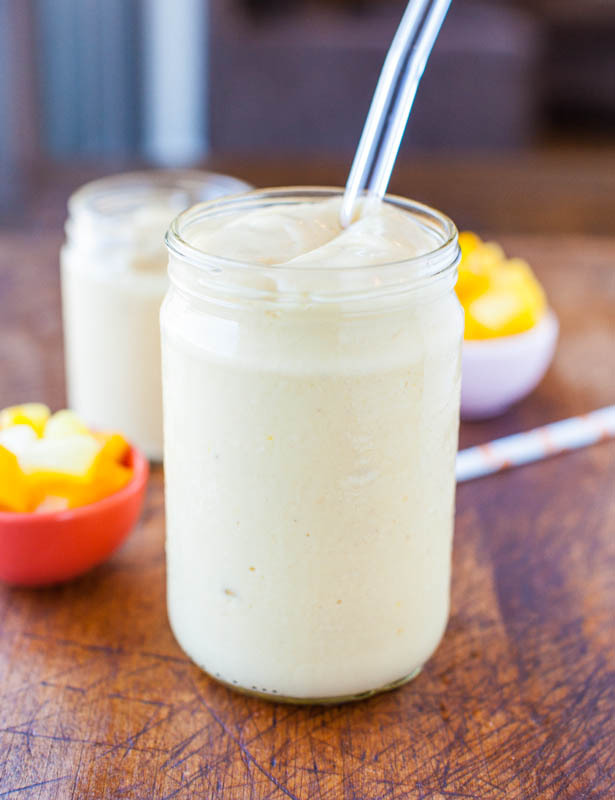 A smoothie just isn’t a smoothie without a banana included for creaminess and they’re a huge source of potassium. If you’re active, making sure you’re getting enough potassium helps to prevent leg cramps and muscle cramps in general. Other good potassium sources include skin-on baked potatoes, prunes, spinach, and lima beans. Given those choices, bananas sound better and better. I peel over-ripe bananas, break them into chunks, and keep them in a big Ziplock in my freezer, making it easy to toss a few chunks into smoothies. When blended, they add plant-based creaminess that’s unparalleled to anything else. Bananas are naturally sweet, inexpensive, and always available. 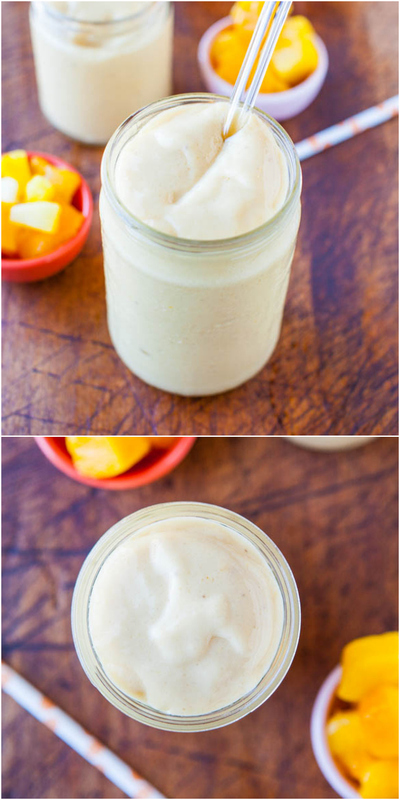 Blend together the fruits, milk, sweetener, splash of vanilla, and blend until smooth and creamy. 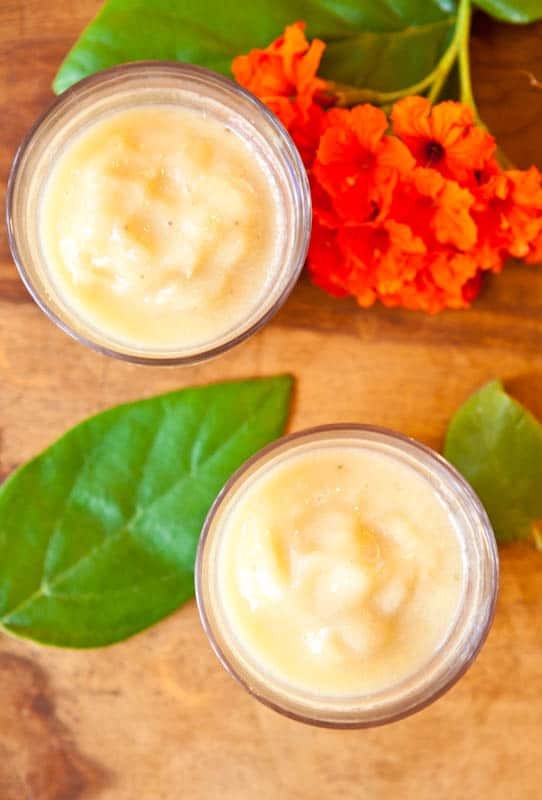 I like to make this smoothie with coconut milk; it’s plant-based, healthy, and I have a coconut obsession. Use almond, soy, or your favorite milk. If you’d like to splurge, a scoop of vanilla frozen yogurt makes it taste like dessert-in-a-cup. Sweeten it using granulated sugar, agave, honey, stevia, a couple Medjool dates, or your favorite sweetener. 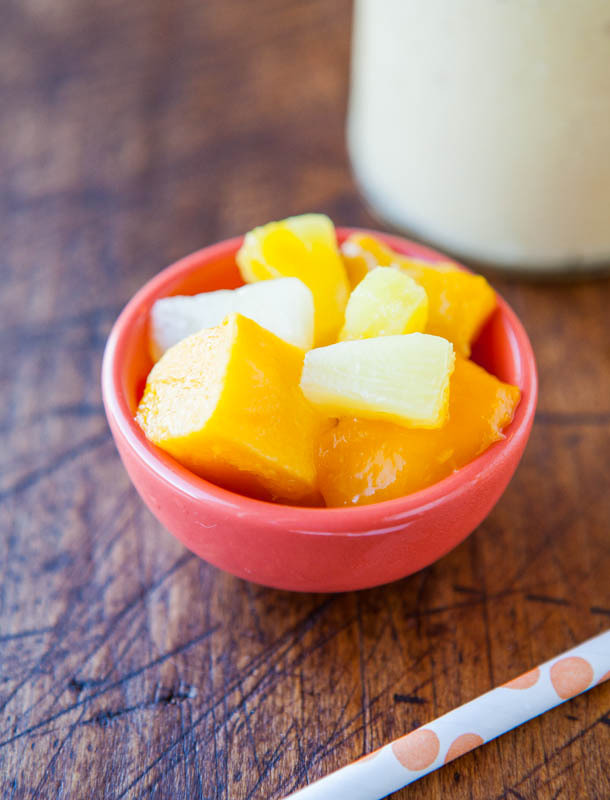 Some people don’t sweeten fruit-based smoothies because the pineapple, mango, and banana are already sweet, but it depends on your palette and how sweet the fruit was when it was frozen. 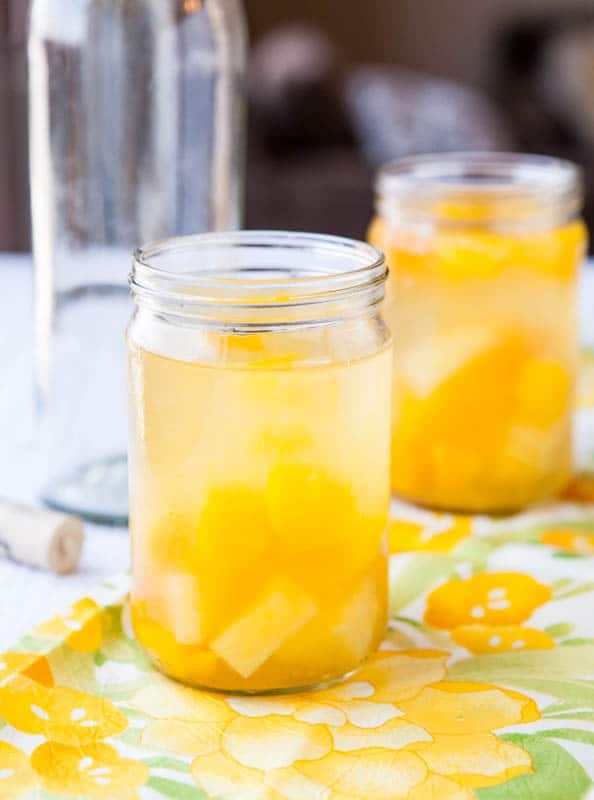 Sometimes pineapple and mango were frozen in a slightly under-ripe state and are a bit too tart to enjoy. I like my Lemon Bars extra tart, but not my smoothies. Since I have to wash my blender anyway, I make double the amount I need. I fill freezer-safe platstic cups with the extra portions, freeze them, and when I’m ready for a smoothie, just nuke the cup for a minute. It saves time not having to remake and then rewash my blender. And having a fruity, creamy, healthy, vegan beverage ready and easily grab-able, prevents me from reaching for cookies, which are equally grab-able. I’ve read that if you want to eat healthier, simply having fresh veggies or fruit cut up and in containers in your fridge, totally ready to snack on, makes it easier to snack on the good stuff. It’s so easy to grab a bag of chips or a handful of jelly beans when you’re hungry and your willpower is nil if you’re not prepared with your snacks. A little prep work saves time and helps you stay on track. And that’s my approach with smoothies waiting in the freezer. The pineapple flavor dominates, reminding me a bit of a virgin pina colada. 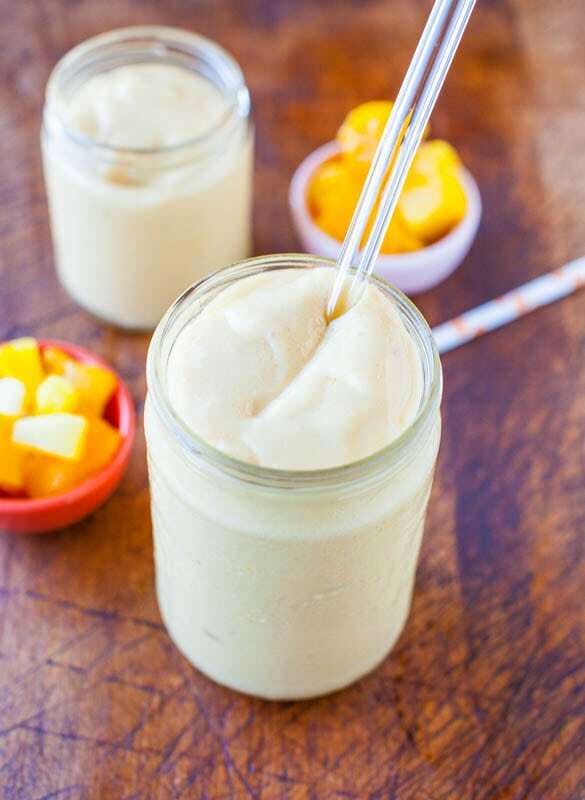 Between the mango, banana, and coconut milk, it’s a healthy, frothy, creamy, vegan treat. I’ll drink to that. 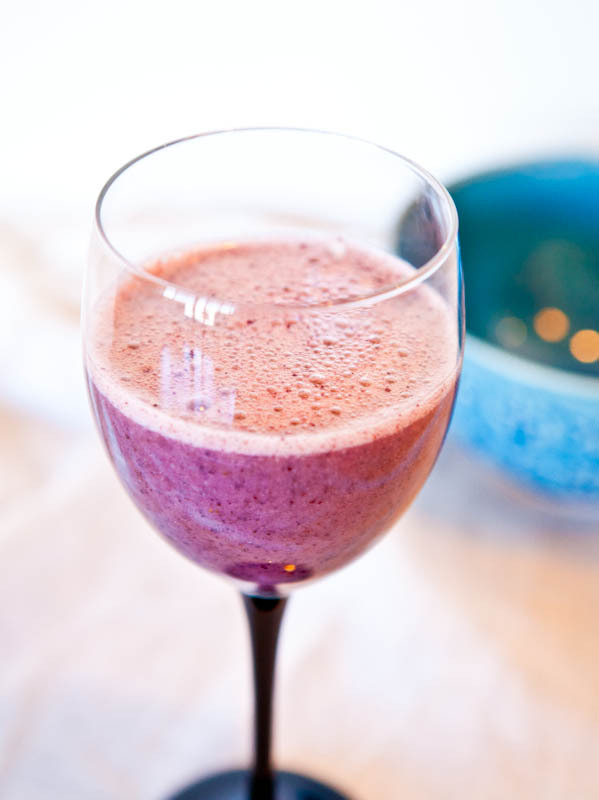 Place all ingredients in the canister of a Vita-Mix or blender and blend until smooth and creamy. Serve immediately. Pour extra into a freezer-safe cup and freeze for up to 1 month, thawing before serving (or microwaving for about 30 seconds). Double or triple the recipe to create planned leftovers – perfect to grab for busy morning breakfasts or as easy snacks. All ingredients and amounts are to taste. 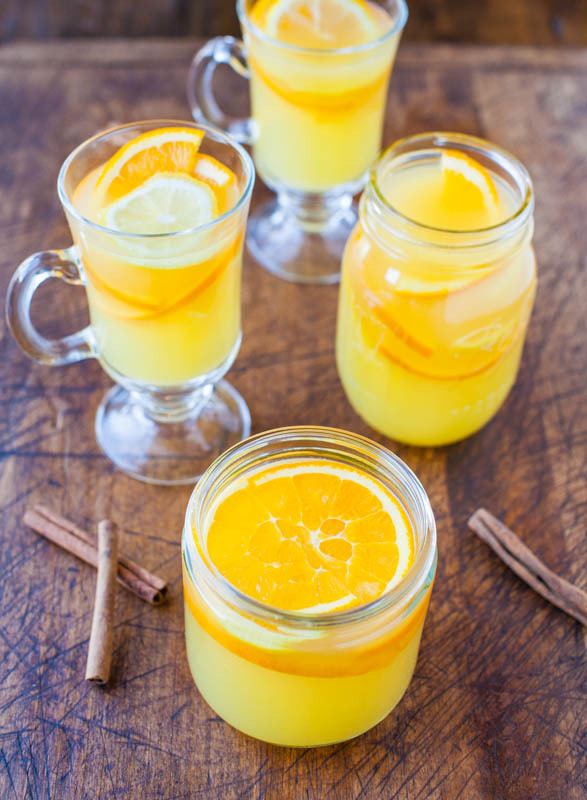 Use seasonal fruits or vary the quantities of fruits, to taste. I used bagged, frozen fruit from Trader Joe’s. 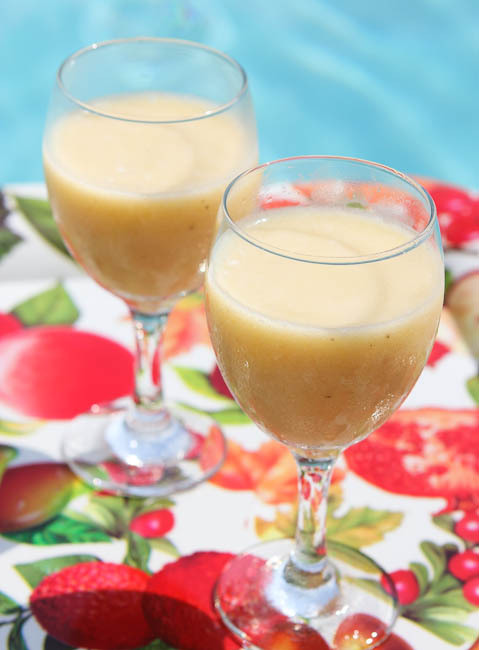 Using frozen is preferred to fresh since smoothie is automatically kept cold, without adding ice which waters it down. 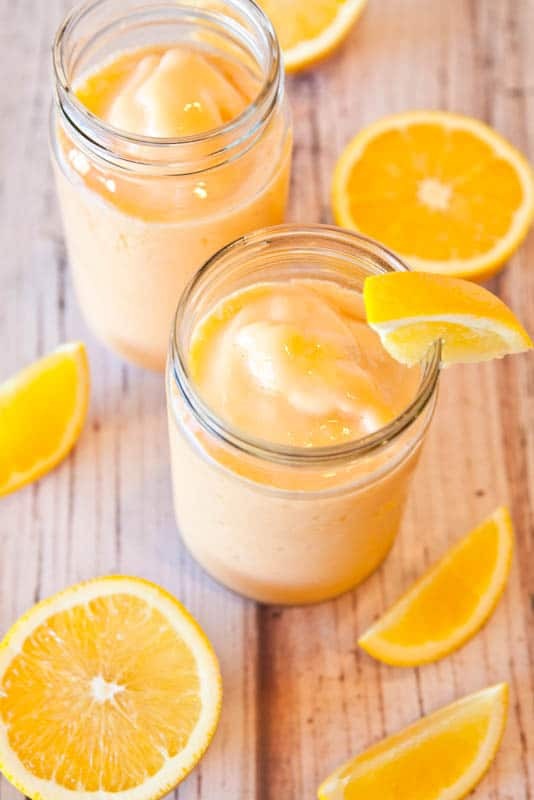 Optionally, consider adding a scoop of protein powder or dollop of yogurt for extra protein; or blending with juice to increase the amount of Vitamin C; add coconut flakes, nuts, seeds, dried fruits, or your favorite smoothie add-ins’ to either the blender canister before blending or garnish smoothie with them after blending. 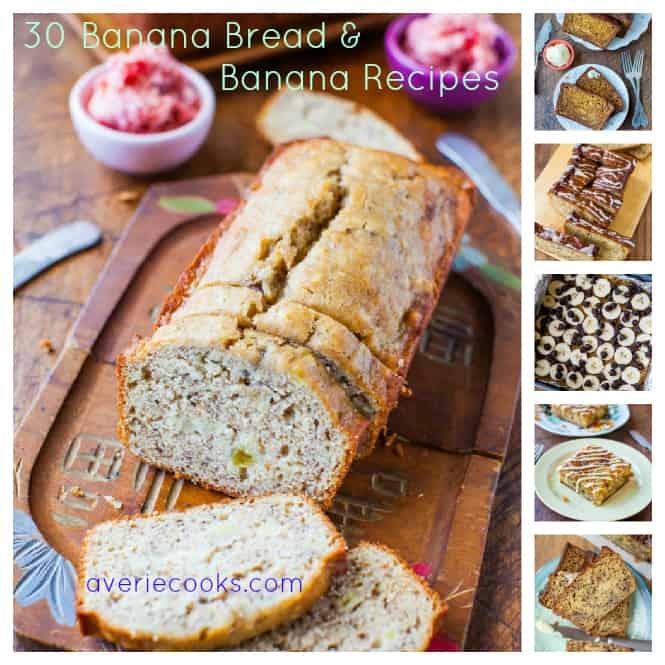 Recipe is vegan (use vegan milk, avoid honey), gluten-free, soy-free, and nut-free as written. Take care any ingredients used are suitable for your dietary needs. 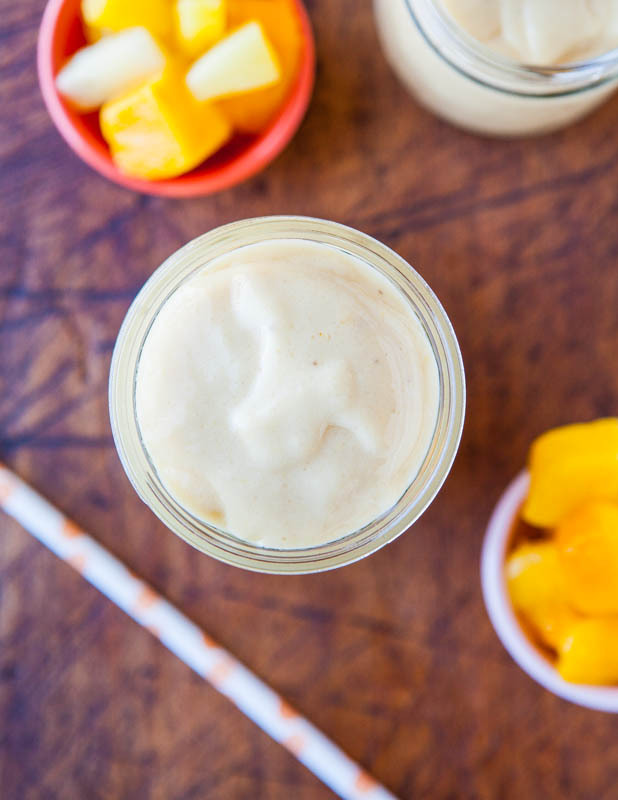 Do you have a favorite healthy smoothie recipe? What do you do or make that keeps you centered, on track, and healthy? Any tips to share? This post is brought to you by Ocean Spray Diet . 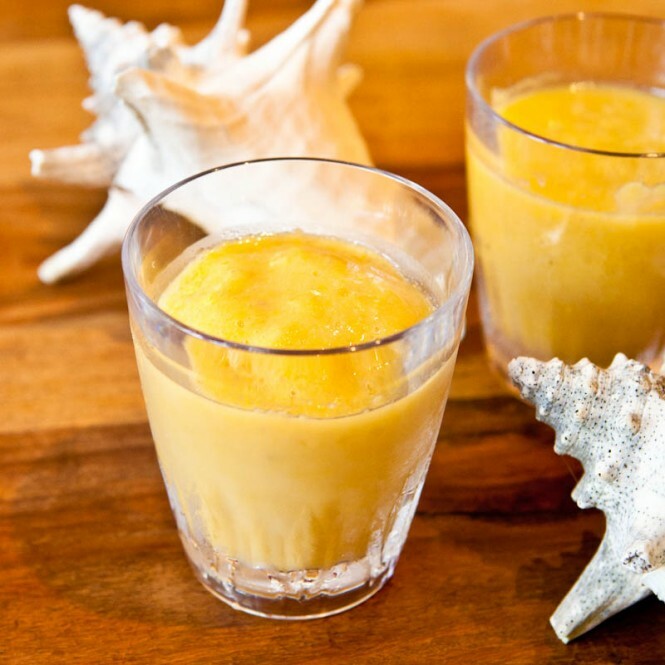 With 5 little calories, it is made with real fruit juice and has a big, bold taste. Get more out of your diet. Please share your recipe links and tips in the comments. Happy National Peanut Butter Day today! Here are 35 Favorite Peanut Butter Recipes in case you want to celebrate. Have a great weekend and check back for a couple great giveaways!